Do you love watching videos on YouTube but are unable to download some of your favourites? 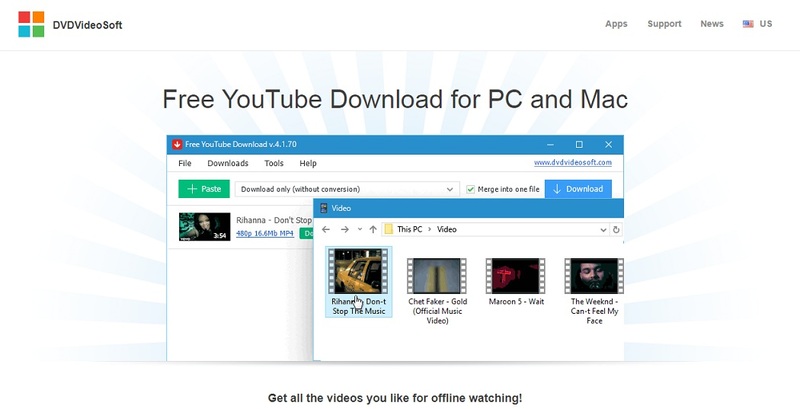 Well, here are some of the best free YouTube downloaders you need to try out. YouTube is the undisputed king of HD videos. It is accessed by many people worldwide; politicians, artists, and many other celebrities in the world of sports. As such, it attracts a huge fan base. That notwithstanding, the platform has some very restrictive policies as far as the content download is concerned. Recently, they included the “offline” video feature, which allows viewers to download and watch their favourite videos in the offline mode. This feature is not all that good because it doesn’t give the viewer sufficient freedom. For instance, you can only watch your offline videos on the YouTube application. Secondly, you are only able to download videos if the channel owner has enabled the offline download feature. So, clearly, there are plenty of restrictions so much so that some users have to resort to watching the videos online time after time. And this is very expensive, especially if you are on a metered network. So, are there better ways of downloading YouTube videos? In this article, we have rounded up some of the best-rated applications that you can use to download the latest YouTube Videos. Check them out! This is the best free tool around you if you want to experience fast YouTube video download. 4K Video Downloader is freeware and has a very intuitive and user friendly interface. It is very simple to use, ad-free, does not include any other bundled extra software and it is very highly customizable. This makes it one of my favorites. In fact most of my documentary videos are from YouTube and guess what, I downloaded them with this software. If you want to grab a video, you just have to copy the URL straight from your browser and paste it to the software. Having done that, the software will verify the link then start the download process shortly. No complex steps and procedures with this one. So simple and direct. There are lots of formats available if you want to download it, available for both audio and video. You will also appreciate the fact that this downloader is compatible with all versions of Windows. You can also download Android and iOS versions from Play Store and App Store respectively. What’s more, all your YouTube video downloads will appear on the homepage for easy access. And you can use this software to download just about any video from any platform. Supports 3D and 360-degree videos. 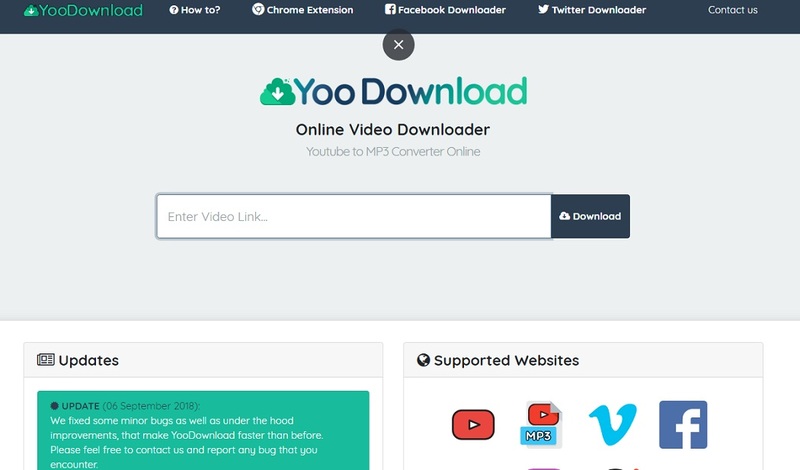 In this YouTube downloader, you can also download videos that are coming from those famous websites like Facebook, Dailymotion,and Vimeo. This one is just very easy to use. Like 4K downloader, you just have to paste the URL of the video, choose the format and the quality setting and it will just be downloaded immediately. It has a very colorful user interface featuring tools and options that facilitate easy video download. 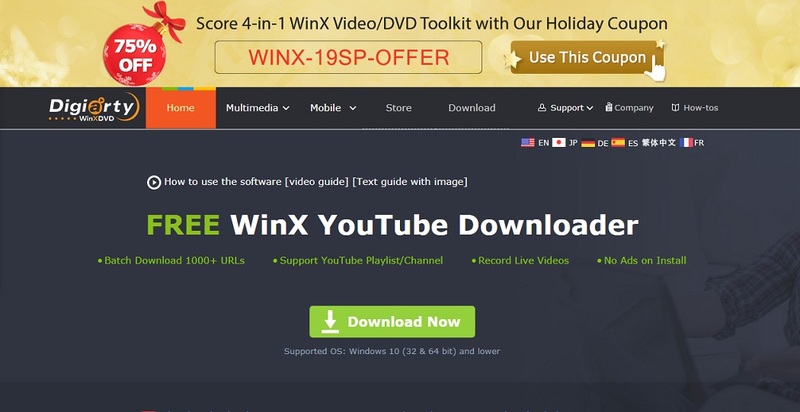 WinX supports many video formats. As such, you won’t have to worry about high end video formats like 4K, 5K, 8K, etc. All can be downloaded with this software. The free version has a few ads and some other limitations. The premium package guarantees an ad-free video download experience and faster download speeds. You will also be able to access many video sites in addition to YouTube. It can also download 4K videos if the video is a 4K one, which is quite amazing. Something that I love about this downloader is that it is compatible with Windows, Android, and iOS operating systems. That is to say that you can download your favorite videos in whichever operating system your handset or PC is running. 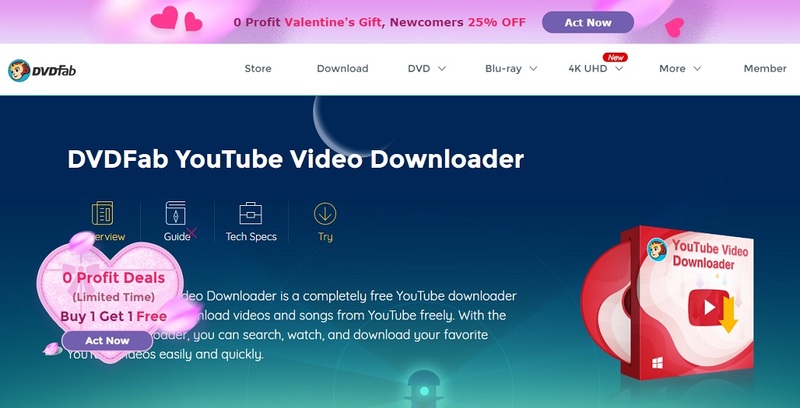 If you are looking for a good YouTube downloader that supports different video formats and has lightning fast download speeds, I recommend this one. Supports over 30 video sites. Downloads multiple videos at once. This one could be labeled as the very best free YouTube downloader. It is feature packed and comes with a simple and intuitive user interface. It is thus very navigable. It comes with a free version and a premium paid version. As expected, the free versions is cool, but has some annoying ads and limits the number of videos one can download. If you want to download just a few videos, then you can go with the free version. Otherwise, the premium paid version is the best in terms of the number or videos and general download experience. But then, it is a very good free solution though so there is not much of a problem with it. There are so many types of video that you can choose from with it. 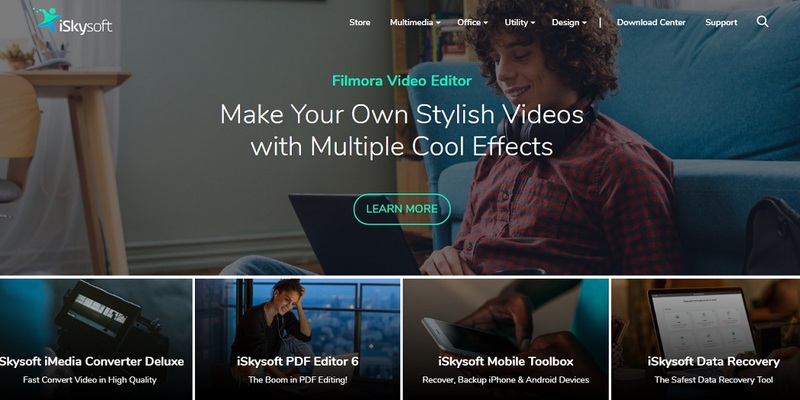 What is very amazing with this software is that there is a built-in video editor around it so you do not have to look for any other video editor around you. It supports different video formats and recently the developers included features compatible with high end videos. I also love the fact that it comes with an inbuilt converter that readily converts your videos to audios or whichever formats you want. 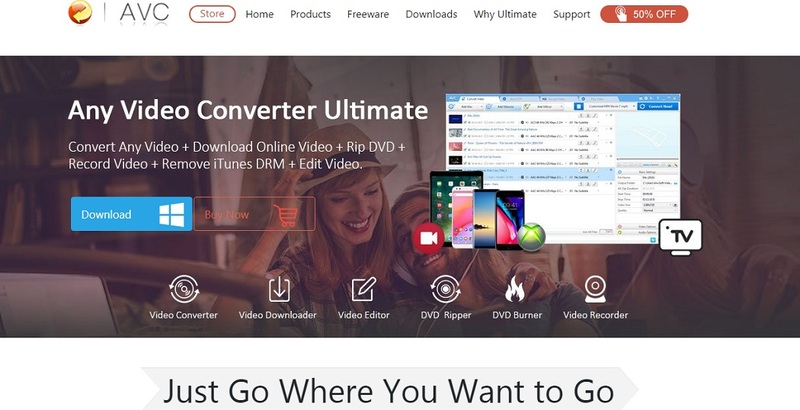 If you are looking for a whole new experience in downloading YouTube videos, Any Video Converter is a good option to check out. This is a very simple YouTube Downloader. As the name suggests, it comes with a simple UI that is not packed with a lot of features. That means that you get to download just particular video formats that it supports. Well that sounds like some sort of setback. It is light and loads fast on which ever operating system; Windows, Android, and even iOS. So you can be sure to download all your favorite YouTube videos and watch on any device. Take note that process here is done smoothly and fast. Like 4K downloader, you will need to paste the video link onto the software and thence follow with a couple of clicks and there you go. If you do not want to have lots of clicks, there is an auto download feature so you do not have to do lots of work around you. This feature automatically downloads any YouTube video that you click on. This is such a cool inclusion. Just to remind you, this YouTube downloader does not support many video formats. Several videos can be downloaded at the same time too. Compatible with different operating systems; Windows, Android, and iOS. 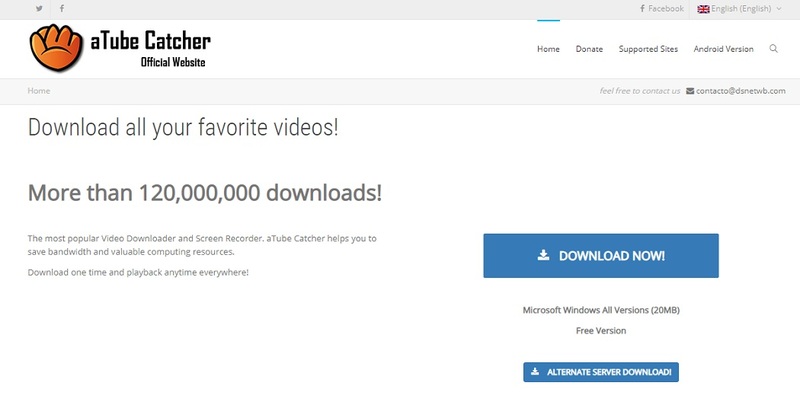 If you are looking for a YouTube video downloader that supports super-fast downloads, aTube Catcher is worth considering. This one can save videos from most of that very big video hosting websites around the internet. It has a very flashy user interface that comes with many features and options. It is compatible with different operating systems. To mean that you will be able to download and watch the videos on whatever device. Something else, the videos that you have just downloaded will immediately be converted to a number of formats that are popular. This just means that you can tailor them for what use you have intended for them. This platform supports most YouTube video formats. Some of the supported formats include HD, UHD, 4K, 5K, and 360 videos. You can also modify them so that they would be in the perfect fit of what device you would use to watch them on. If you want to download lots of YouTube videos all at once, especially those big ones, this one is for you. Has lots of added extras. This one is one of the best in the market. It has been lauded by the audience for its very fast installation process. The convenience of it is not just limited in the first installation, but also when downloading YouTube videos, the process is also faster than you could think of. The process of the downloading a video is very simple too, no need to click more buttons and links in order to download the video. Things are done very fast. You can search and watch in the software. Copy paste the link to the software for quick download. This one is a very basic YouTube downloader, it is free but then it is really good. This manages to give out everything that a YouTube downloader needs to have. And this one does everything well so good. The software is made for just one tiny purpose, which is to download YouTube videos and just that. Because of that, you will experience lag-free and smooth downloading. Allows you to download multiple videos at the same time. The interface looks a little bit hassle and old. 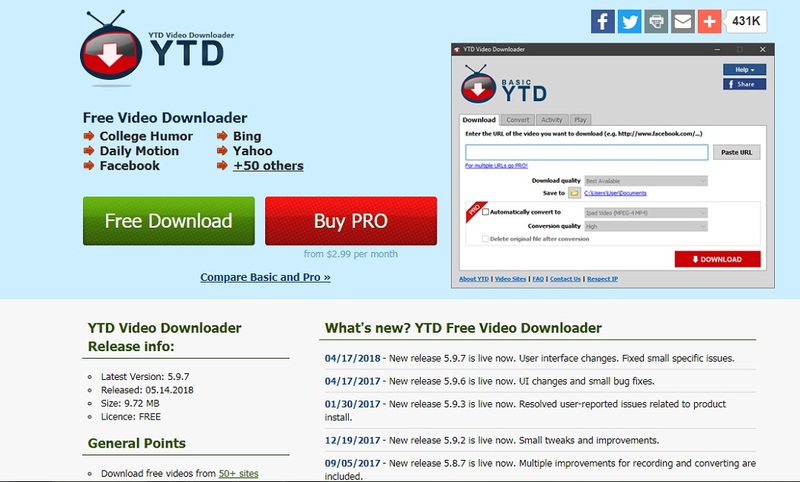 This is a free video downloader but if you want to pay more to receive more features, then you may do so. It has a free and premium plans. As expected, the free plans is short on some of the best advanced features. You can only access such upon upgrading to the premium plan. If you are just starting out on YouTube Downloader, you can stay with the free plan for a start. The downloader features a very simple interface that makes the downloading of the videos a very easy process. It allows you to download from over 100 websites. Download audio and video format. This one is the best thing that you could think of when you want to download a YouTube video but then you do not have enough space to download new software for it. It is because this one is a YouTube downloader that functions as a web browser extension. There’s not much of a ‘downloading the software’ thing needed. Just add this to your web browser and then everything will run smoothly. The huge fact that you do not have to install anything at all in order for this to run, is a very huge convenience. Known for most browsers like Chrome and Firefox. Can download in high resolution. 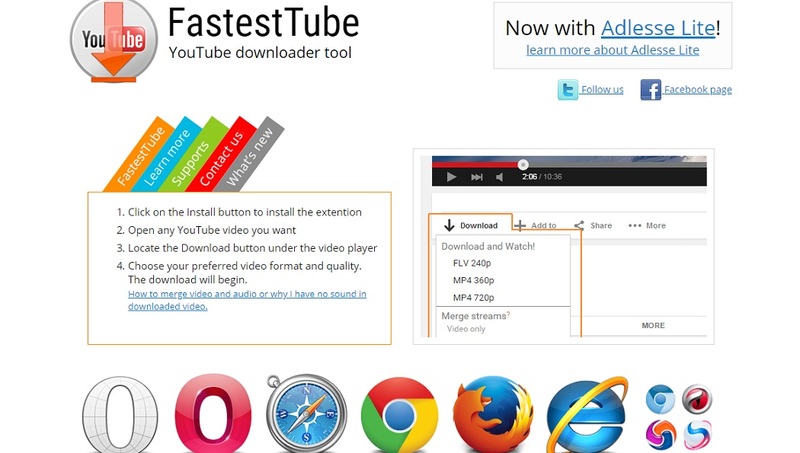 FastestTube can only be downloaded through their website. The software is completely free and it will allow you to download videos from different websites including those Vimeo and Facebook. The functionality of this software is very simple and it works like a charm, there’s nothing much needed to do if you want to download a single video at all. You just have to copy the links and then paste it to the software. You can edit the format of your downloaded video and also you could extract the audio that is coming from it. Extract audio from the video file. Download videos from lots of websites. If you want to have a fast and easy YouTube downloading experience, then this one is a very good choice for you. The functionality that this software has is so simple you will not have a hard time trying to download one. Not just that, you can also choose to download videos from various types of options. Therefore, if you are someone that is new at downloading different videos online, then choosing this one as your downloader is a very good choice. Comes with a search bar. You can watch videos inside the software. You are given the choice of what format and quality you want of your video. The All Video Downloader is just as similar to how other video downloader goes. You can also search for the URL in the software itself, which means if you want to watch some videos while being inside the software, you can do so. You do not need to go back to the web browser in order to check for the videos itself. You can also use the video downloader if you want to download some videos that are situated in Vimeo and Dailymotion as well. Download two videos at the same time. This YouTube downloader achieves the thing that it needs to perform in order to be called as a YouTube downloader. It has a great performance and it delivers good quality output so it does earn some things in order to be placed in the list. One really good reason why this one is placed on the list is that this doesn’t require any download at all because it is an online video downloader. You just have to go to the link above and then paste the video that you wish to the downloader. Afterward, everything will run and go smoothly. A web browser YouTube Downloader. 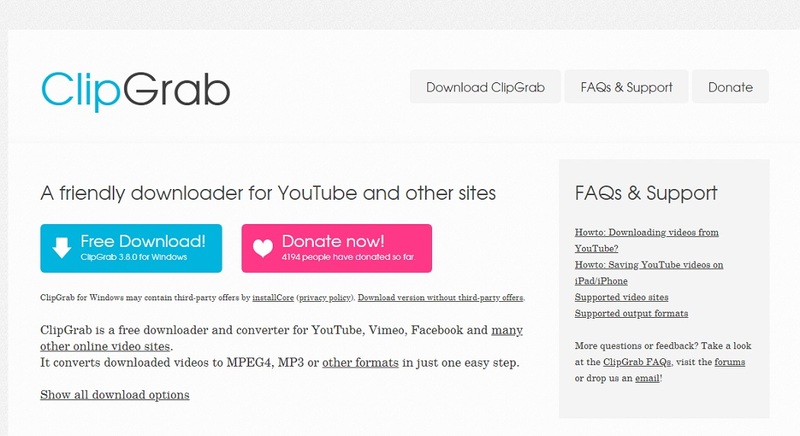 It allows you to download videos from all types of websites. The most basic video downloader on our list. The interface that it has is very basic and it does pretty much everything that you need from a video downloader at all. It will only allow you one video at a time though and also it does not let you download an entire big playlist. If you are a starter at this type of thing, then this one is a very good solution for you. This one is really safe and is completely free. 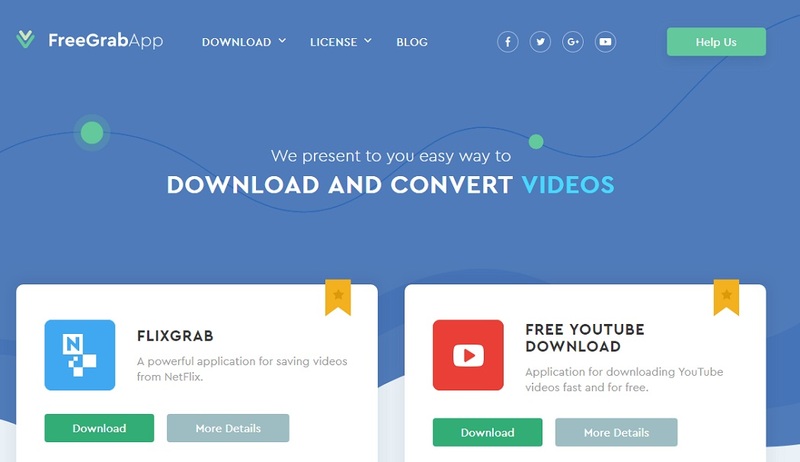 It lets you convert videos after downloading them. This one is a very basic YouTube downloader out there, but then it does not mean that it does not give out some good features or it makes this one a less effective YouTube downloader compared to the others. In fact, this one has been on the market ever since and it is performing well. Lots of people are using this one as their daily drivers in the past. The design is so simple that there’s not much navigation needed in order to have a good YouTube video downloaded. Just copy and paste the video URL. Download files one by one. Downloading YouTube videos are all depending on your taste. If you want to download a YouTube video and then make it into a specific format, then that’s how you want things to be. If you want to download some playlists and all, then it all depends on you. One thing is for sure, if you want to download YouTube videos out there, there are lots of options for you. Just choose one and enjoy your YouTube video downloading experience.